ENTERTAINMENT: Iron Man! Thor! The Hulk! Captain America! Throw 'em in a blender and what do you have? A superhero smoothie that has also become the highest grossing movie of 2012! 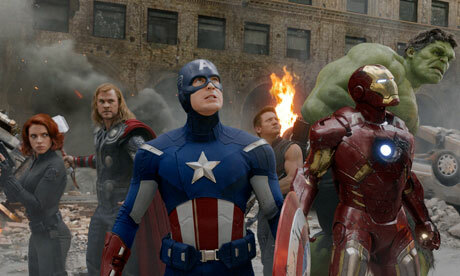 Directed with a sure hand and sense of humor by Joss Whedon, The Avengers is a big-budget extravaganza that never forgets that it's supposed to be fun. We have it on DVD and Blu-ray. For something a little bit more low-key try Damsels in Distress, the latest from Metropolitan and Last Days of Disco director Whit Stillman. It's a literate, urbane comedy about the interactions between a group of young women at an Ivy League college. SERIES: The long-awaited FX series American Horror Story finally premieres on DVD this week. Jessica Lange won a Golden Globe award for her portrayal of the neighbor of the haunted house that welcomes new residents Dylan McDermott and Connie Britton. It was co-created by Ryan Murphy who also had a hand in the creation of Glee. Season 2 of the hipster comedy series Portlandia is also out this week. There also some quality offerings for fans of British television. The Crimson Petal & The White is a four-part BBC series that approaches Gothic melodrama in tone as it follows a Victorian prostitute as she searches for a better life. Among the exciting cast are Gillian Anderson and Richard E. Grant. Also out this week are 3 episodes of the Kenneth Branagh Wallander series as well as season 8 of the detective drama New Tricks. ENTERTAINMENT: There are lots of fun little films coming out this week, some of which may have missed your radar. 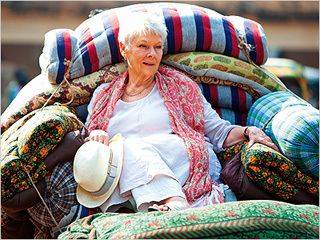 The Best Exotic Marigold Hotel is the real charmer of the bunch, telling the story of British retirees who decide to move to India. The place they choose to live is the hotel of the title, which is more rundown than advertised. With an all-star British cast of Judi Dench, Tom Wilkinson, Maggie Smith and Bill Nighy you are sure to find something to enjoy in this fun film! If you need something a little more intense you might want to try The Cabin in the Woods, which takes the well worn genre of kids being stalked by a killer in a desolate location and turns it on its head. Joss Whedon, who recently achieved big screen success with The Avengers, produced this film and kept it creative, fun and loyal to the horror/slasher genre. Also this week, Hysteria is a romantic comedy starring Maggie Gyllenhaal and Hugh Dancy in the story of one of the most important inventions of the 19th century. Detachment stars Adrien Brody as a burned out teacher who becomes a role model to students at an urban high school. Finally, if you enjoyed the quirky and charming Jeff, Who Lives at Home, you might also like Do-Deca-Pentathalon, which was also directed by the same Duplass brothers. It is a comedy about a pair of brothers who compete in their own 25 event Olympics. 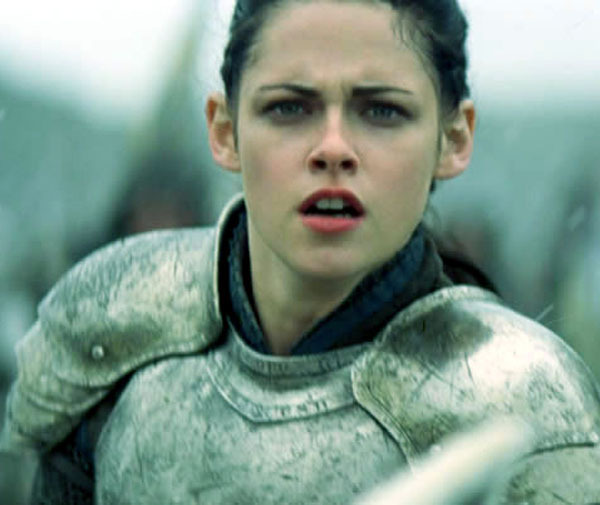 ENTERTAINMENT: It's Snow White as you've never seen her as Snow White and the Huntsman arrives on DVD and Blu-ray. This adult take on the classic fairytale stars Kristen Stewart and Chris Hemsworth in the title roles and was a major box office success. Also available this week is What to Expect When You're Expecting, a romantic comedy with a great comic cast of Cameron Diaz, Jennifer Lopez and Elizabeth Banks. SERIES: It's another good week for tv series fans as the shows continue to roll out on DVD. If you're looking for a laugh, you might want to grab season six of 30 Rock or season five of The Big Bang Theory. Mystery lovers will want to get their hands on the fourth season of the police comedy-drama Castle, starring Nathan Fillion as mystery-loving author Richard Castle. Also arriving is the police drama second season of Blue Bloods, starring Tom Selleck as the head of a family of New York cops. Finally, the Starz series Spartacus: Vengeance returns with a new actor in the title role. You can always visit Bibliocommons to see what is new and upcoming! 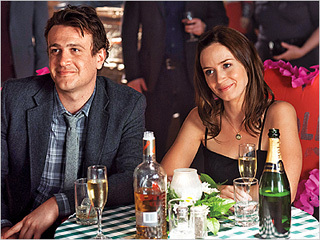 ENTERTAINMENT: The Five-Year Engagement stars Emily Blunt and Jason Segal as a couple who experience nothing but problems on the way to the altar. It was directed by Nicholas Stoller, who made Forgetting Sarah Marshall (also starring Segal) and will appeal to those of you who enjoy Apatovian humor, particularly since Judd Apatow was a producer. SERIES: It's a fantastic week for those of you who have been waiting for your favorite tv shows to arrive on DVD. The 8th season of the always popular medical melodrama Grey's Anatomy is here, as is season 3 of the courtroom drama The Good Wife. If you're looking for a laugh, you'll want to grab season 4 of Parks and Recreation or season 8 of The Office. Premium cable is also represented this week with the return of everybody's favorite male prostitute, Ray Drecker, in the third and final season of HBO's Hung. Also wrapping up its run is Bored to Death, the charming private eye comedy starring Jason Schwartzman, Ted Danson and Zach Galifianakis.